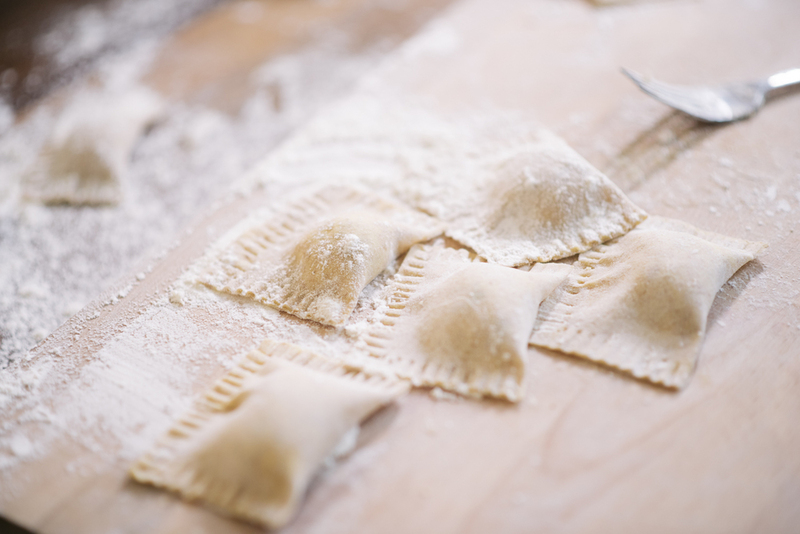 IL Mattarello is a gourmet PASTA lab established in July 2014, producing artisan and organic fresh pasta and sauces. © Photo IL Mattarello. All right reserved. ORGANIC GOURMET PASTA DISHES @COPENHAGEN STREET FOOD. We get inspired day by day by the variety of Italian regional food choices. The gourmet pasta lab promotes authentic and genuine Italian pasta dishes, with particular attention to seasonal, organic and selected high quality raw ingredients. Homemade is a must to offer healthy good dishes. Italian products are chosen as well as danish local farmed products. Our philosophy reflects the Italian artisanal and homemade tradition, everything is made from the scratch, starting from raw ingredients, sapiently blended to make diverse dishes as learned from our grandmas. This is the reason of the brand name “Il Mattarello” literally rolling pin, one of the essential tools in the Italian kitchens used by our grandmas to prepare pasta, dessert, tarts and more - symbol of the handcraft. High quality, excellent service and selected products, smiles and positive attitude are our company motif. We have retained our 100% Italian heart. Never through away leftovers. That is how old Italian cuisine is built upon. Leftovers have been transformed into something special and became symbol of regions. In addition, to reduce food waste, we use sustainable serving plates and cutlery, we do care to environment sorting waste. We are certified part of Refood. Mediterranean and Italian cuisine is well known for balancing of ingredients and good taste. We are promoting it! In addition, whole grain flours, unrefined sugar and wide variety of vegetables, are our main ingredients. Healthy choices for good life. On December the 22nd, 2017 Papirøen - Copenhagen Street Food have closed permanently.